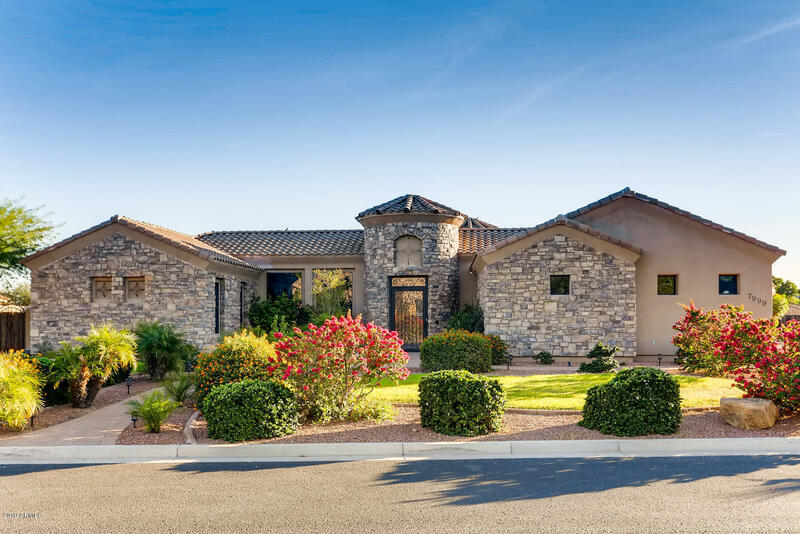 All Peoria homes currently listed for sale in Peoria as of 04/24/2019 are shown below. You can change the search criteria at any time by pressing the 'Change Search' button below. "Spacious two story home with 4 bedrooms + game room upstairs with 2 full baths and downstairs has a study and powder bath. 12'x8' sliding glass door leads out to the covered patio. Designer features include 30'' built in gas cooktop, Tahoe Maple cabinets and granite countertops in kitchen and owner's suite. Upgraded flooring and much more." "GATED***CUSTOM***NEW CONSTRUCTION***ACREAGE. 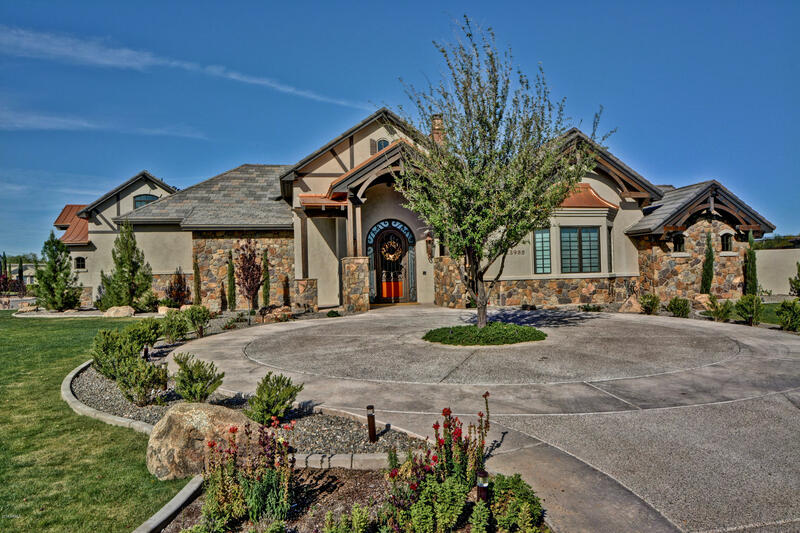 This Estate defines Luxury, Quality, and Sophisticated features. It is rare that a residence can capture the blend of modern architecture with soft accents that truly create timeless elegance. This home provides space for any audience and the most discerning buyer. Entertainment, families and most importantly the quaint feel of the gated enclave of only 17 homes. 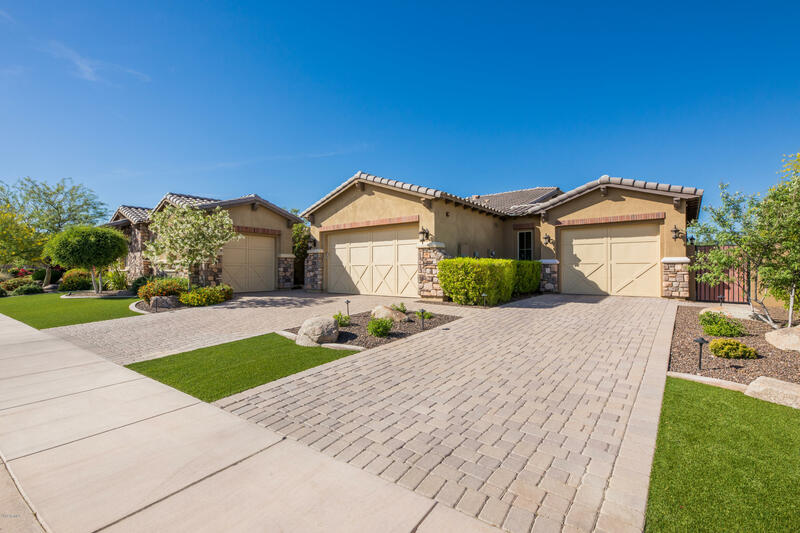 The courtyard invites you to experience the newly finished, flagship home of 85383. " 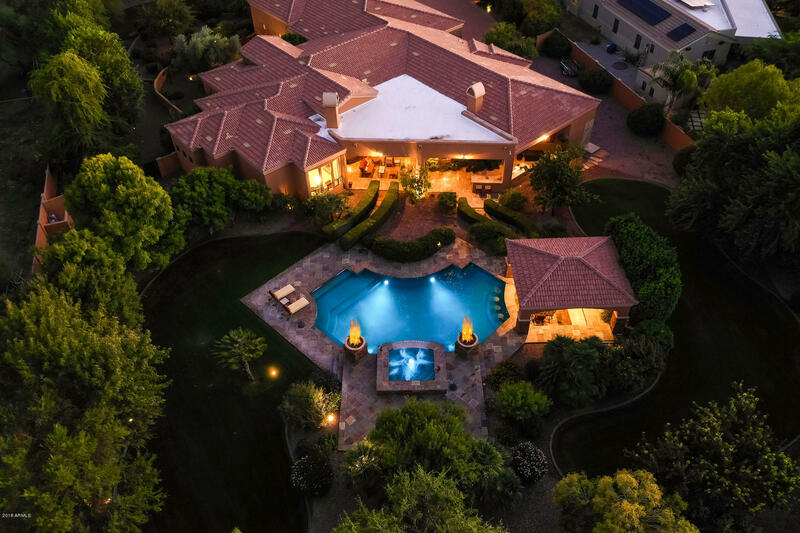 "An Exquisite Estate nestled amidst spectacular pink-hued sunsets & unparalleled mountain views sits upon an elevated hillside lot in Sonoran Mountain Ranch. Custom built & thoughtfully designed w/Family & Entertaining in mind, using only the FINEST finishes. 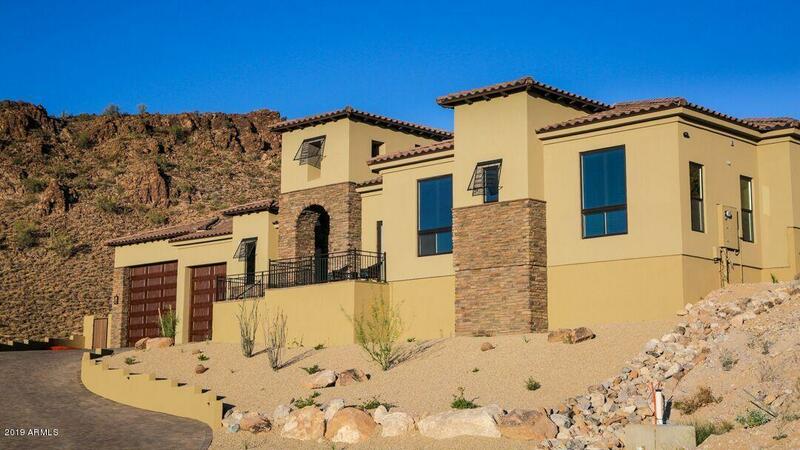 Timeless architecture & desert living at its best w/extensive use of Acacia wood, crema marfil marble & other natural stones, w/no detail spared. Offering nearly 8,500 sq. ft., this Meticulously Maintained home exudes true pride of ownership"
"Carved into a gentle slope lies this spectacular custom estate in the heart of Blackstone Country Club! 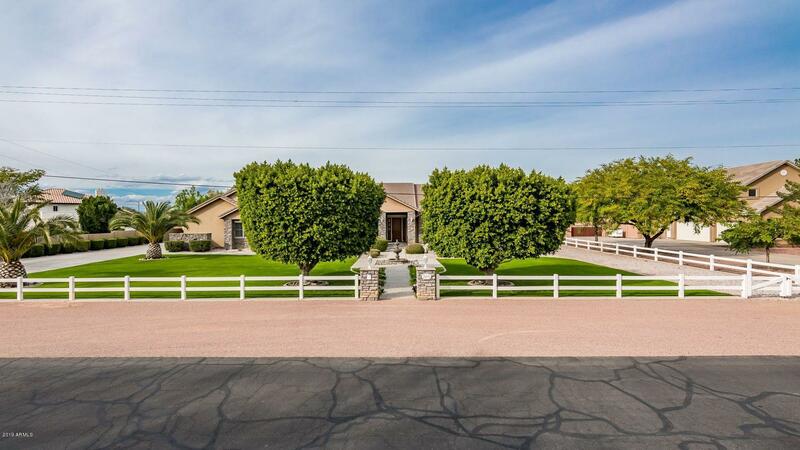 On nearly an acre of property, this custom is designed to take advantage of the endless views! Experience the 22 foot ceilings of the masterful Great Room and Chef's Kitchen. Other amenities include: Sub Zero Refrigerator, Professional Stove, Butler Kitchen, Game Room, Teen Room, attached Casita, Loft/Office, Zero Entry Showers, Courtyard, Natural Stone throughout, Negative Edge Pool, Ramada, "
"Looking for that One-Of-A-Kind Custom Home in a very exclusive neighborhood? Completed in 2016, this masterpiece cost @2.6M to build! The attention to detail is amazing with Herringbone patterned hard wood floors, hand carved walnut kitchen island, solid knotty alder interior woodwork, and so much more. There are custom details throughout that make this home stand out as simply amazing! Outdoors you'll want to stay and relax in the resort style back yard with too many features to list. This ho"
"Located in the upscale gated community of Copper Creek Estates this stunning home is reminiscent of an Urban Chicago Loft but with all of the modern living amenities. Combining tumbled brick, exposed raw beams, steel doors and polished concrete floors with stainless steel appliances, vaulted ceilings and subway tiles - this home truly has a cool and distinctive vibe. 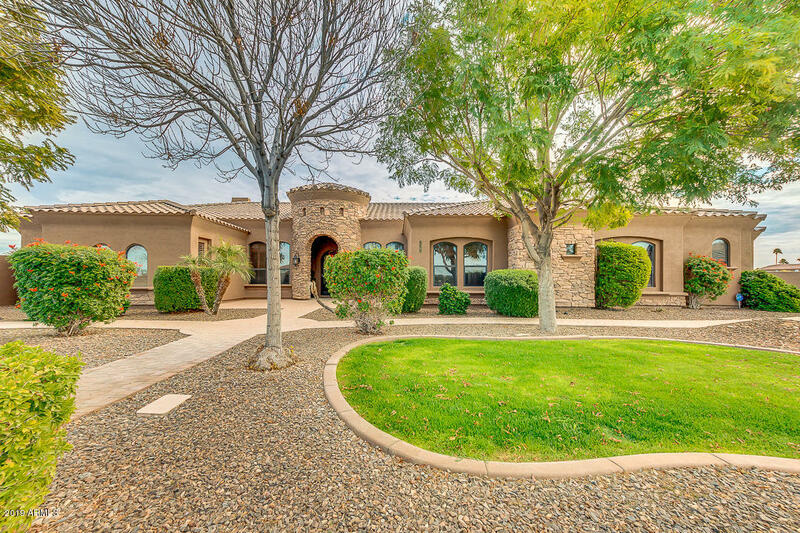 The minute you arrive at this home you will be impressed, from the perfectly manicured landscaping, the brick accents, arched win"
"RARE CONTEMPORARY ESTATE. WITH MASSIVE GREATROOM FLOWING THROUGH FOREVER CEILINGS, CONTEMPORARY FIREPLACE & HIDE AWAY GLASS DOOR OPEN UP TO OASIS BACKYARD. ALL OVERLOOKED BY TRUE CHEF'S KITCHEN W/ CUSTOM SS APPLIANCES, PROFESSIONAL DUAL REFRIG, FREEZER & WINE REFRIG, 6 BURNER GAS RANGE W/POT FILLER,MICROWAVE DRAWER, GRANITE SURFACES, TONS OF CABINETS. FORMAL DINING FOR THOSE SPECIAL OCCASIONS. PRIVATE EAST WING MASTER SUITE W/STUNNING MASTER BATH/SPA TUB/WALK-IN CLOSETS/PRIVATE LAUNDRY RM. WEST"
"Southwest Living at its finest! 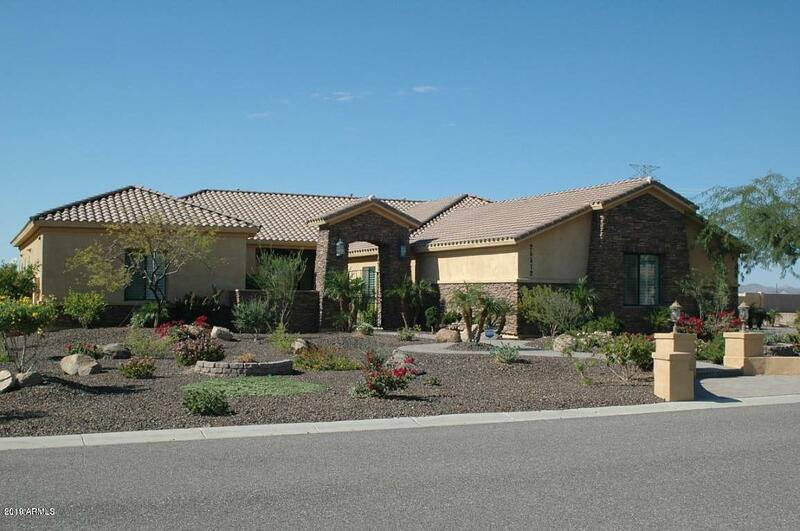 *Entertainer's Home *Backyard Paradise *Exclusive-Gated Community *Excelling Schools! *Owned Solar ... 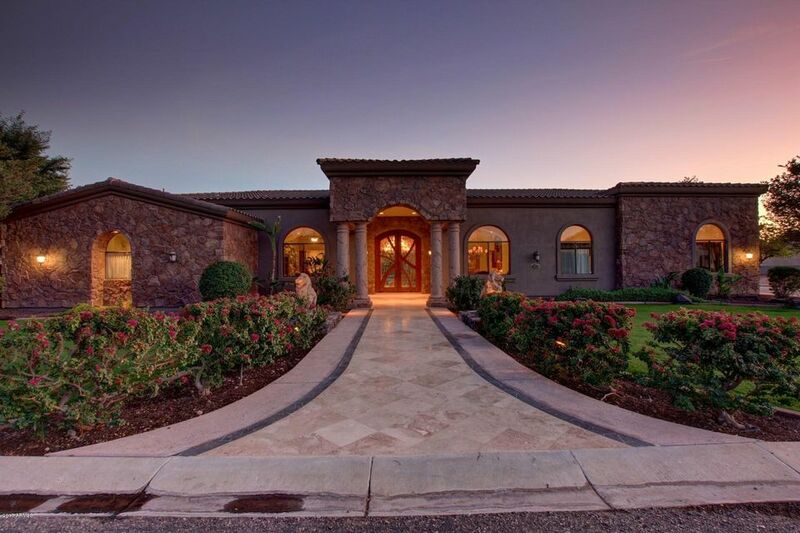 This luxurious and meticulously-maintained Tuscan home is located in Casa de Sunrise, an Exclusive-Gated Community with multi-million dollar estates. A gorgeous iron and glass gate opens to a private courtyard with a bubbling fountain. An elegant foyer offers a warm welcome to all. In the west wing of the home, you'll find a gourmet kitchen with knotty alde"
"BEAUTIFUL & PRIVATE! Main home is 5165 sq ft w/4 bedrooms & 4.5 baths. Guest home is 542 sf w/full bath for a total of 5707 sq ft. For the car collector or coach lover there is a detached 23x60 dbl RV garg. Split plan has east wing w/3 lrg bedrms w/own baths, w-in closets & a tec center perfect for homework detail. Media/game room has screen/projector & room for pool table. 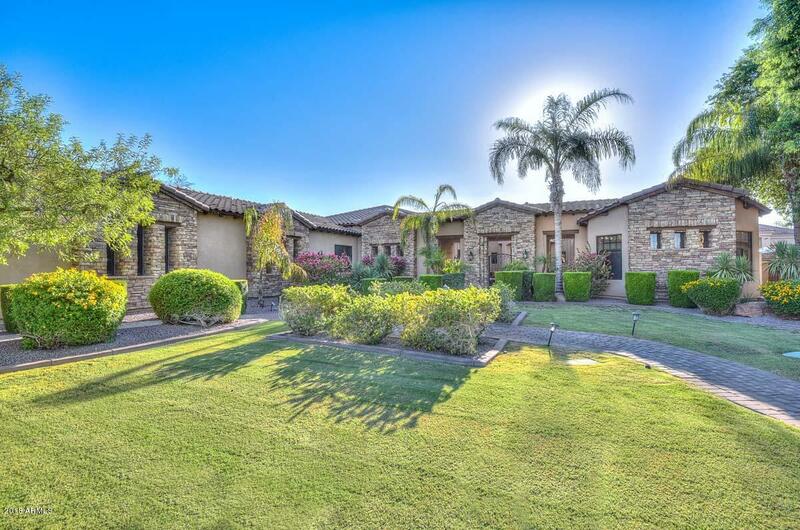 West wing has lrg office w/dual French doors & exit to courtyd, an Awesome master suite w/firepl, spa bath w/soaking tub, w"
"FABULOUS ESTATE ON 0.8 ACRE GATED COMMUNITY.RV GARAGE ELECTRONIC GATEAMAZING POOLthis home is perfect for anyone. Open living concept flows from great room w/it's incredible 28' radius of disappearing glass doors to bring the outdoors in onto the unique chef's kitchen w/all the amenities & an abundance of granite counters. Interior is a blend of designer accents of granite, stone, bronze. 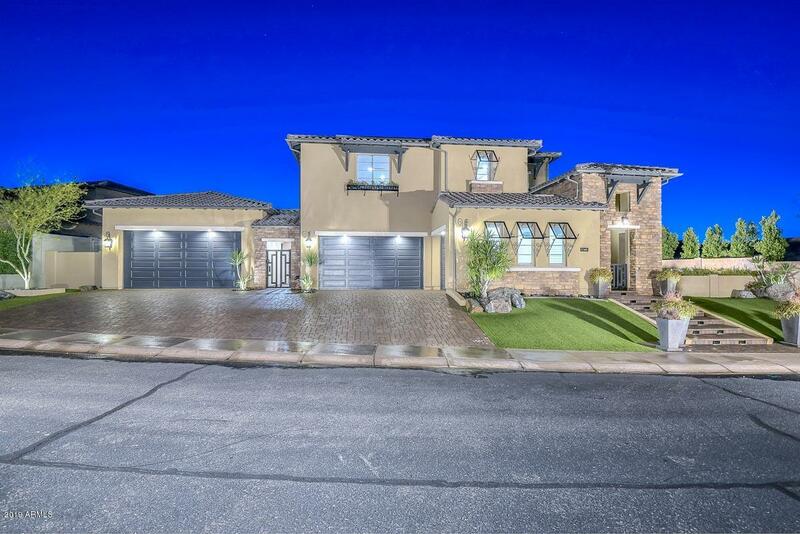 Huge split master is a dream w/a dream spa bath to indulge yourself in luxury, + 2 bedrms w/Jack n Jill bat"
"This is your chance to own a highly upgraded home in Vistancia's sought after community of Blackstone. Situated on the 4th fairway of Blackstone Country Club with north facing views, expansive backyard with negative edge pool/spa and recent designer interior remodel. 3597 sq ft of living space with an open concept floorplan and brick accent walls. The chefs kitchen boasts a quartz countertop island, 6 burner gas range, farmhouse sink, double ovens, ice maker and wine fridge in the butler pant"
"Absolutely stunning home located on the number 4 fairway of the award winning Blackstone Country club! This is an exceptional lot with double fairway, mountain and lake views from your amazing back yard. 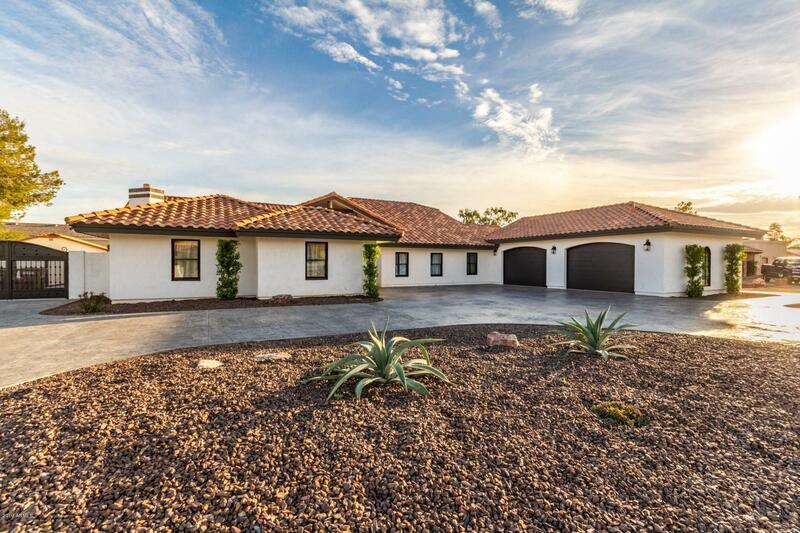 Situated on almost 24,000 square feet this David Weekly built home has 3,849 square feet, 3 bedrooms, 3.5 baths in the main home and 1 bedroom, 1 bath in the casita. Beautifully manicured landscaping with extensive use of pavers will greet you as you arrive. Step inside and you will find a forma"
"Your Tuscan retreat is waiting for you. You will never have to leave this resort like style home. Perfectly appointed space for all your entertaining needs. 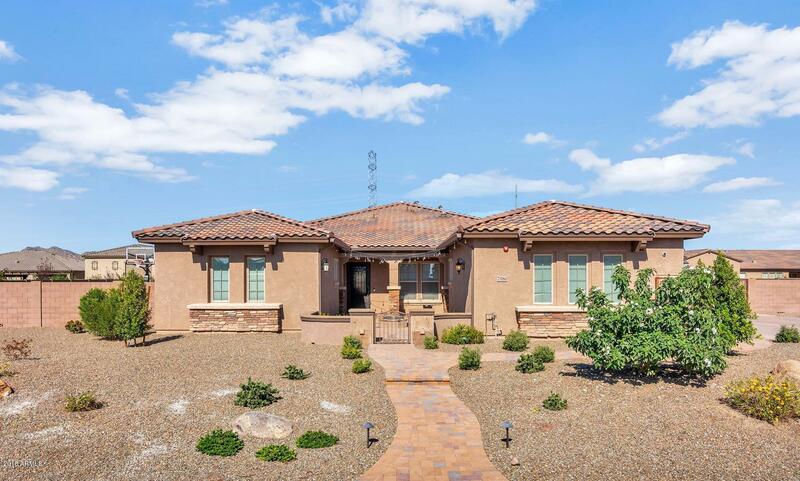 This 5 bedroom custom home features a split bedroom floor plan, gorgeous tile and stone throughout the home, wood floors in the den and formal living room. Gourmet kitchen with gorgeous granite,Sub Zero stainless steel appliances., custom cabinetry and oversized walk in pantry. Open concept living room with all the fine touches for all your "
"Stunning Contemporary Beauty in Peoria! Home Theater w/Star Ceiling (gotta see this), Bamboo Flooring, Limestone (not tile) in the Kitchen, Granite & Recycled Glass Surfaces, Steam Shower in Master, Entertainment Systems , Custom Cabinetry, Wet Bar w/Wine & Beverage Refrigerators, Dacor Appliances, Central Vacuum, Fireplace, On-Demand, Tankless Hot Water Heaters, Bidet, Large Laundry Room. 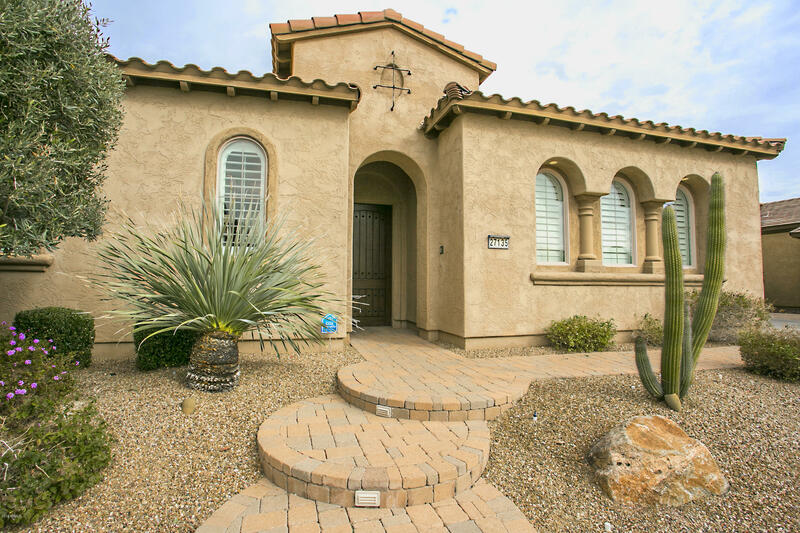 4 Bedroom , 5.5 Bathroom & Casita w/Separate Security & HVAC. 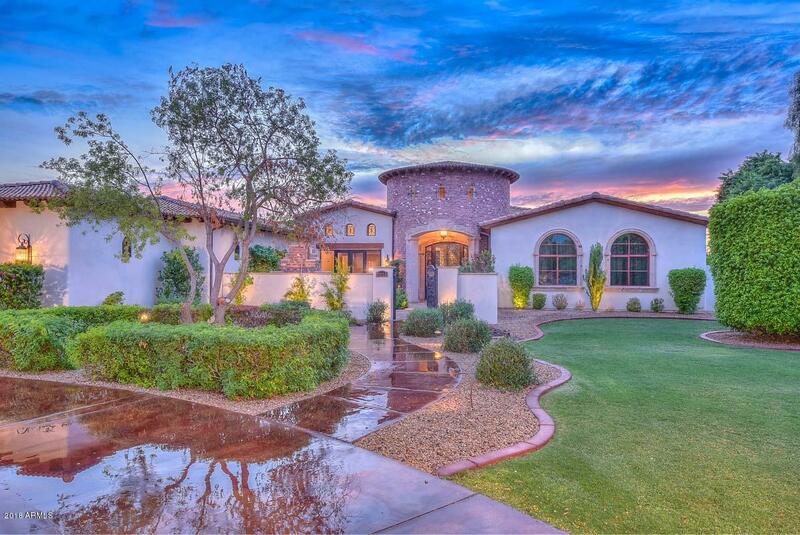 Exterior has CUSTOM Gates, Pool, & Waterfall"
"Welcome to your own private resort! This home has everything you could want and has been built with rare quality! The exterior was constructed entirely of concrete giving you incredible insulation during the summer heat. The over 1 acre lot is a entertainers dream including resort style pool and hot tub, outdoor entertainment features audio/visual, sun shades, patio heaters, and lighting, all that can be controlled at the touch of a smart phone or tablet. Also features children's playground, bas"
"Start with a stunning mountainside lot in the gated subdivision of Alvamar at Westwing and add a luxurious home crafted by Starwood Custom Homes and you get the perfect custom home with magnificent 360 degree views from every window with both city lights and mountain views.Pass through the entry and open the sliding glass pocket doors, the first thing you see is a positive edge Infinity pool with a fire pit. 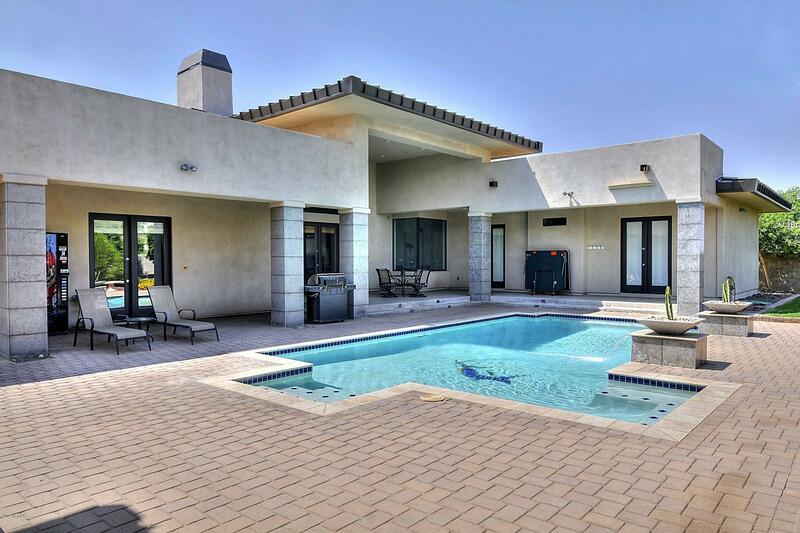 The outdoor space was designed for entertainment and enjoying the great Arizona sunsets." 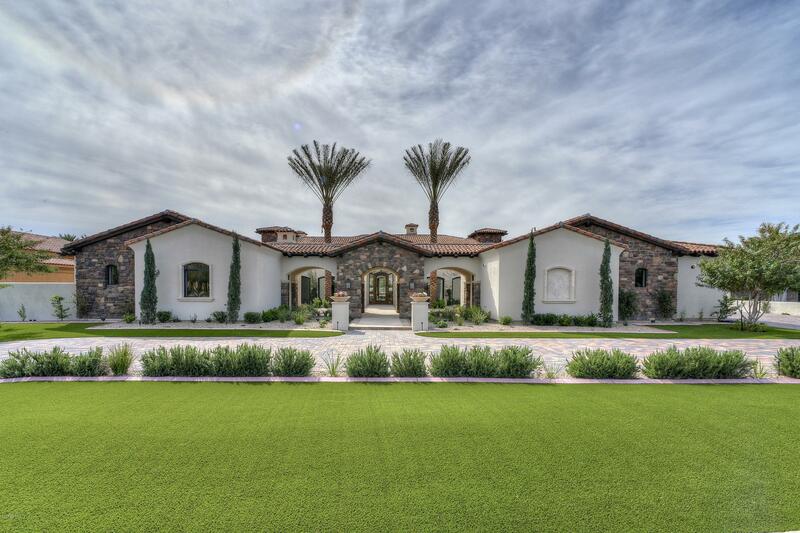 "This amazing custom home is absolutely stunning with 12' ceilings concrete columns and marble flooring throughout. 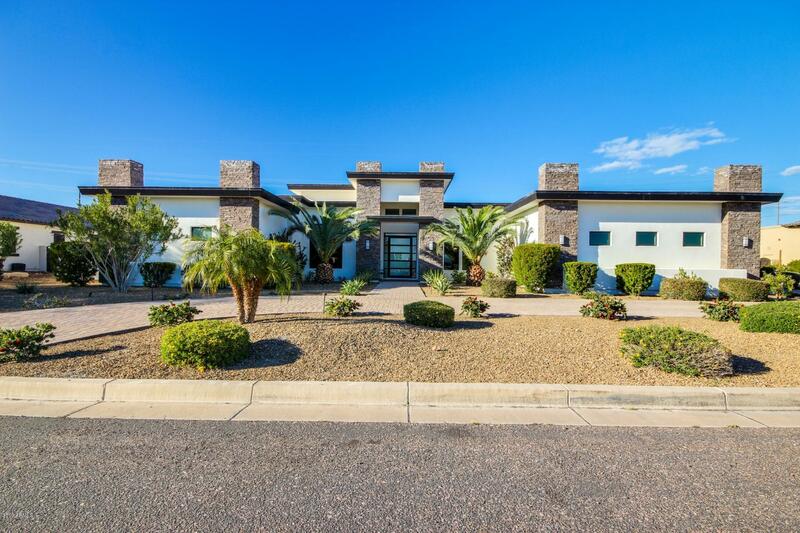 Beautifully decorated, too many advantages and benefits to list, such as gorgeous office with built in rich, dark wood book shelves, walk in closets in all rooms, a huge 13x12 laundry room, 2 separate 2 car garages with epoxy flooring and cabinets. The kitchen is so big, it has 2 islands and volumes of cabinet space, granite, Viking and Bosch appliances and security camera. Central "
"Welcome to this spectacular remodel that will absolutely knock your socks off. This home has been upgraded with every inch of the home. The main house is 4000 Sq ft with 4bd and 3bth, an Exercise room and a large room off of the garage that can be used as a Den/Mud room. The Kitchen upgrades are top of the line granite, new Cabinets, Huge Island, Wolf Appliances, Sub Zero refrigerator & all fixtures are studio 41 branded. The new Doors in the home are all custom made along with the new gates o"
"LOWEST PRICED HOME IN MELTON RANCH!! 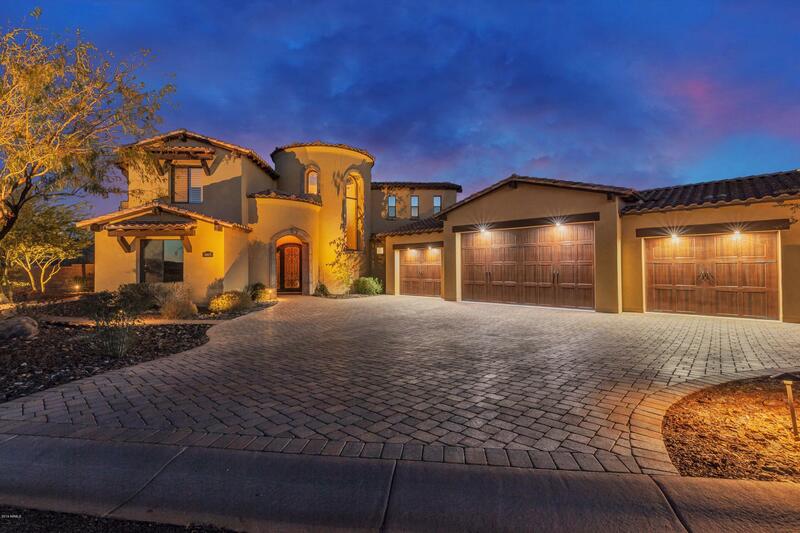 Come and see this luxurious 4 bed, 4.5 bath, 4,041 sqft custom home. All Bedrooms have there own ensuite bathroom. Let the pictures do the talking. 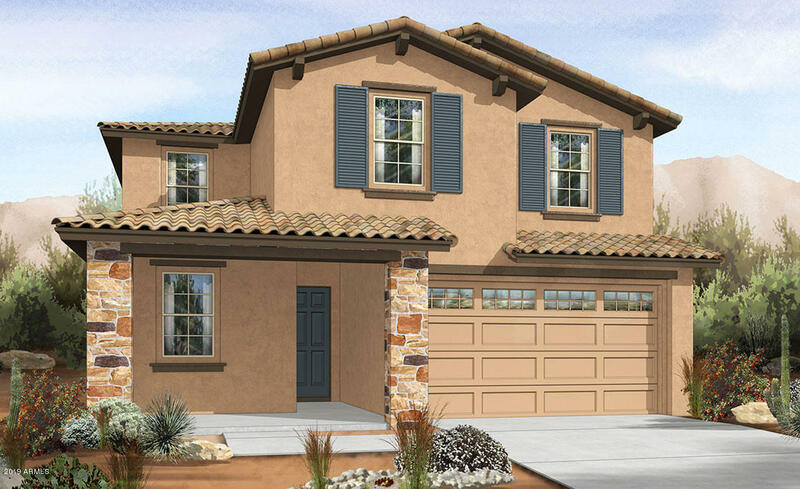 First experience is a freshly painted exterior and a 4 car garage with built-in cabinets. Front entry through the grand iron door will open up to the beauty inside. Take in the formal dining room, great room with fireplace, teen room, wet bar, new designer interior paint, stone wall accents & plantation shu"
"This gorgeous home by Shea is located in the highly desirable community of Vista Montana III. It features 5 bedrooms and 3.5 baths on a 3/4 acre lot and is perfectly positioned to add an RV garage. The entry hallway has engineered wood with glass tile inserts will guide you to the gourmet eat-in kitchen with a walk-in pantry and upgraded staggered cabinets, high-end stainless-steel appliances and quartz countertops. Kitchen opens to a huge family room with 24'' by 48'' porcelain tile. 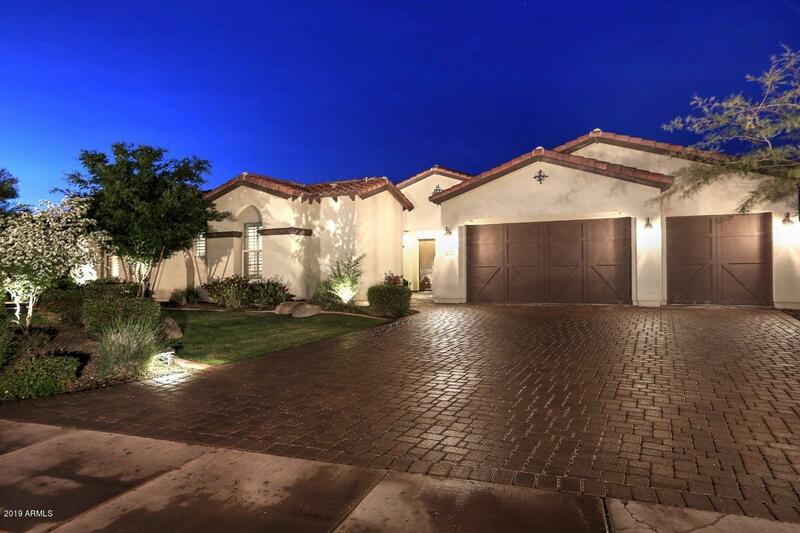 Off the "
"Camelot home CUSTOMIZED w/ OVER $650k of IMPROVEMENTS in Canyon's Edge Gated Community * 4 bd + DEN 4 Baths 4234 sqft 5 CAR GARAGE * AMAZING Pool & Infinity Edge Spa w/ MULTIPLE Fire & Water Features, Glass Tile, 9 ft Deep, Intelitouch Automation Control System, 10 ft JUMPING WALL * MARBELLA Stone Pavers * Versa SPORT COURT * Synthetic TURF Front & Back * 14 & 18 ft GLASS PATIO SLIDERS * AUTOMATED Window Blinds & Solar Shades w/ Rain & Wind Sensors * Side Courtyard w/ Water Feature LIVING WALL &"